« It was great while it lasted…. Happy New Year! I cannot believe it is already the 18th of January. We had a great holiday but I will have to write about that later. Yesterday Kurt had the day off, of course, for Martin Luther King Day. 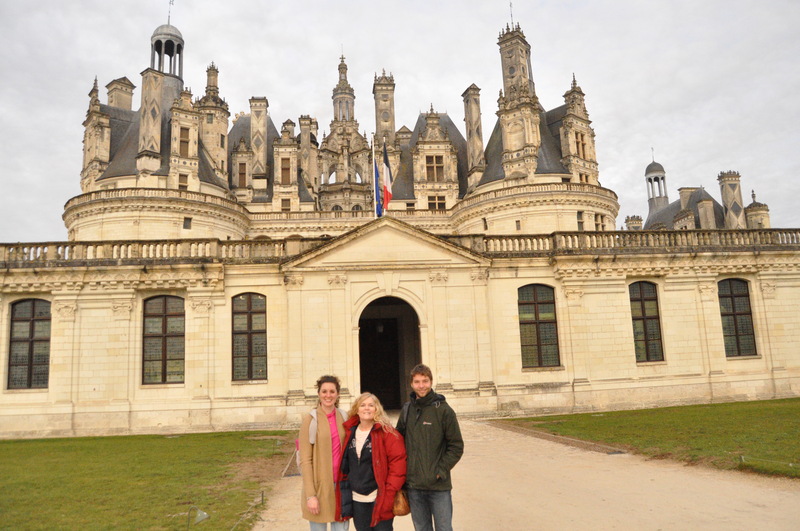 We decided to take a day trip to the Castle Chambord. We brought along 2 friends, Megan and Ben. We met them both from our French school, they are both au pairs. We were out the door at 6:15 am and back home by 5:30 pm just as the kids got back from school. Six hours of driving and 3 hours of touring the castle. It is a fabulous castle! 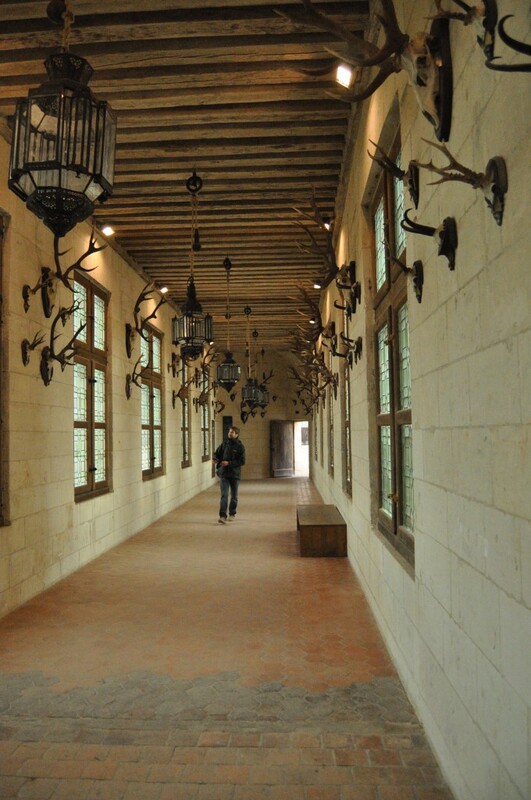 It was built as a Hunting retreat by King Francis the first. It is built in a remote area off the River Lorie There are some 50 castles built along the Lorie River. I doubt I will be able to see them all but I would love to. I am sad we did not get a great picture of the front of the castle. Here are some pictures we took. 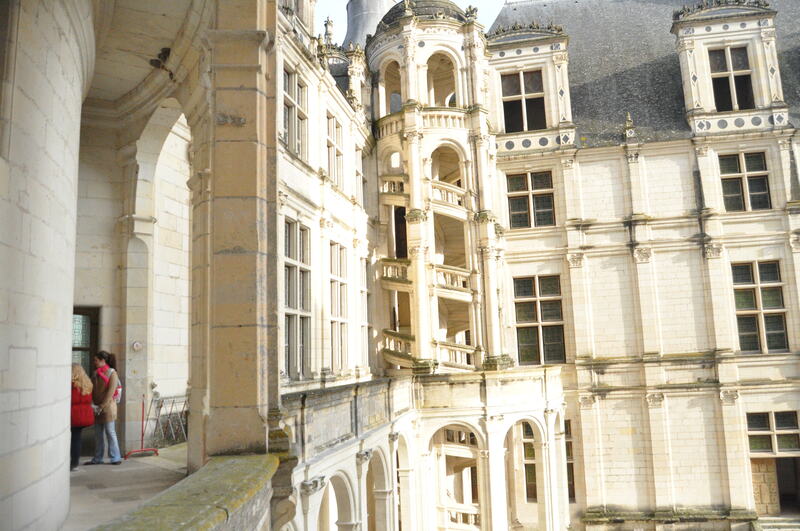 This is the official website-it has a great picture of the front of the castle. This is walking toward the castle from the parking area. 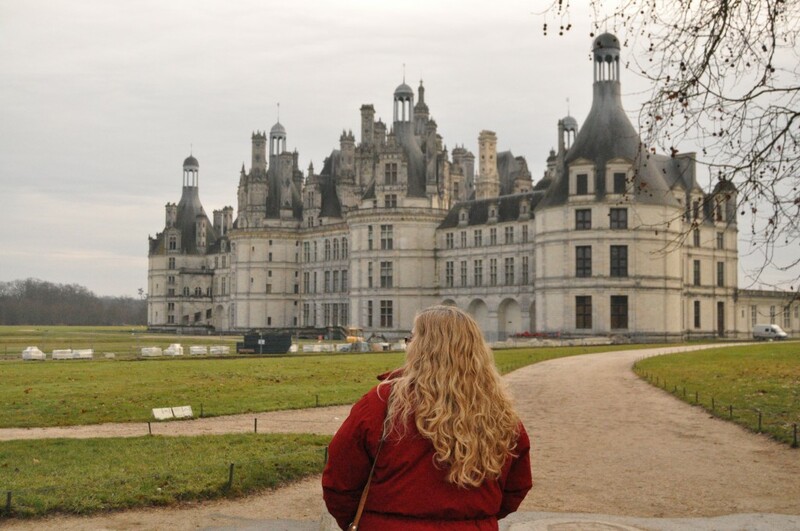 This is the back of castle Chambord. There are 77 staircases in this castle. 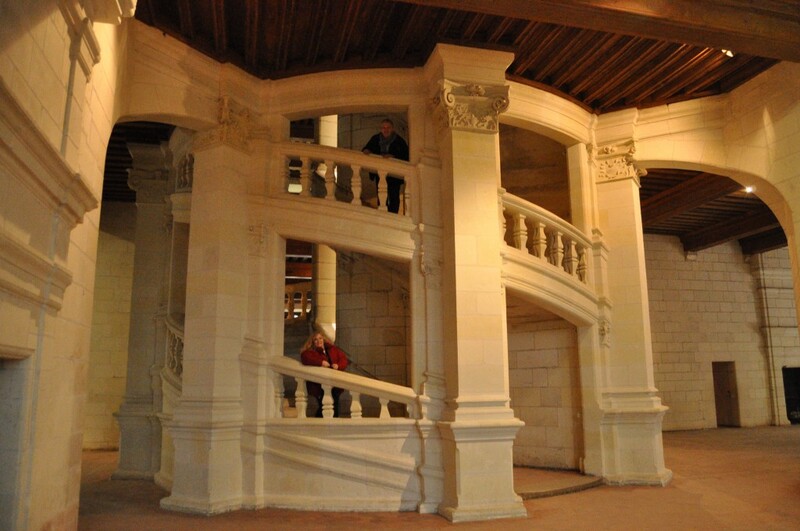 There is a matching staircase on the opposite side of the castle. This is a room with pieces they took off the roof. 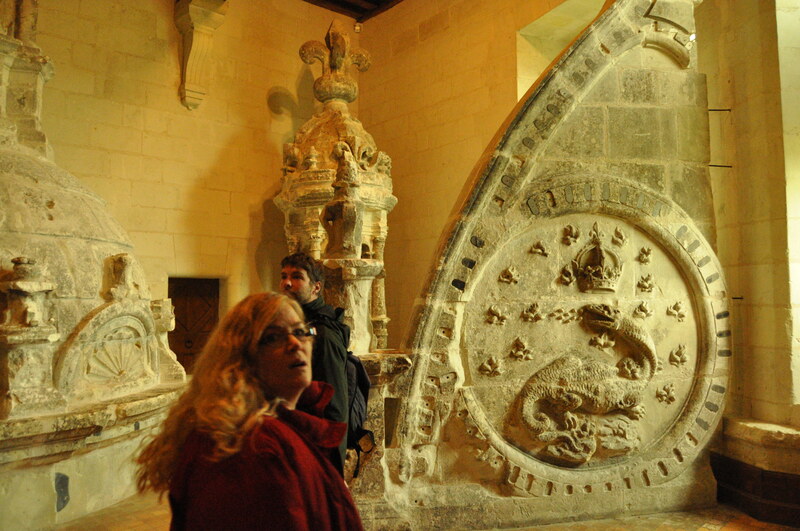 They show how the limestone is wearing. 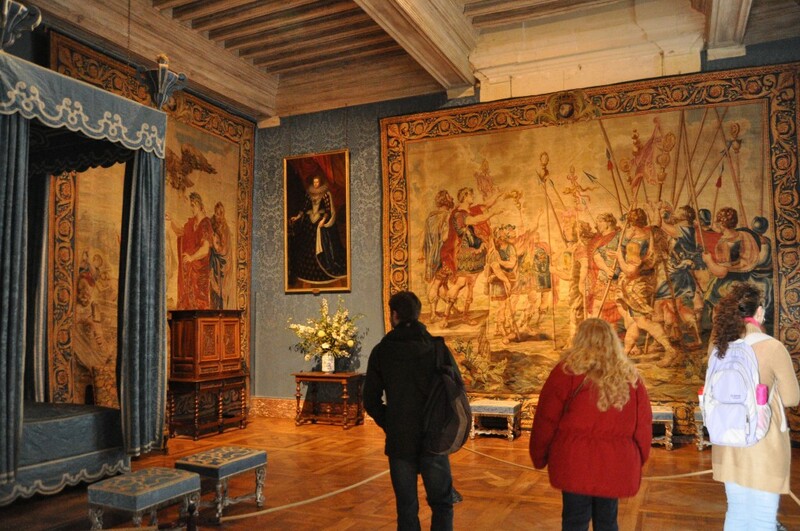 This castle been renovated by several successors to King Francis. He actually never saw it finished but it is believed that Leonardo di Vinci possibly designed this castle. 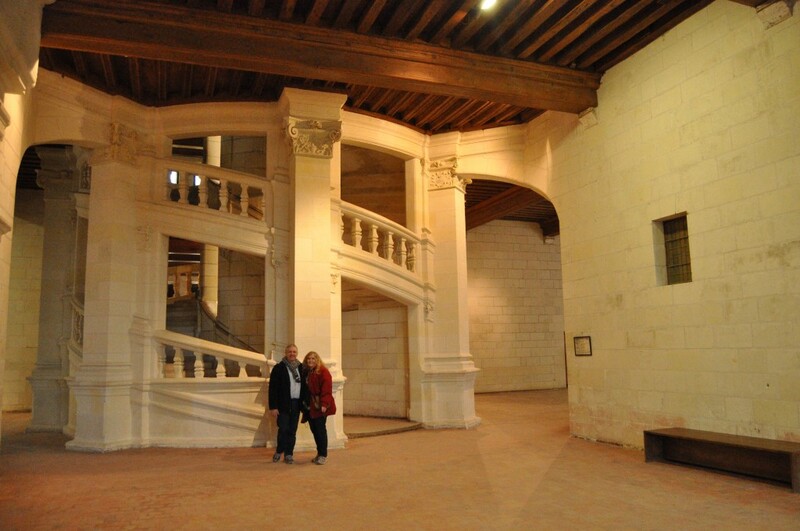 Francis had him come visit France and Leonardo designed the double Helix staircase in the middle of this castle. This is one of the bedrooms. See the massive ceiling! This castle is so cold. I cannot imagine anyone living in it. 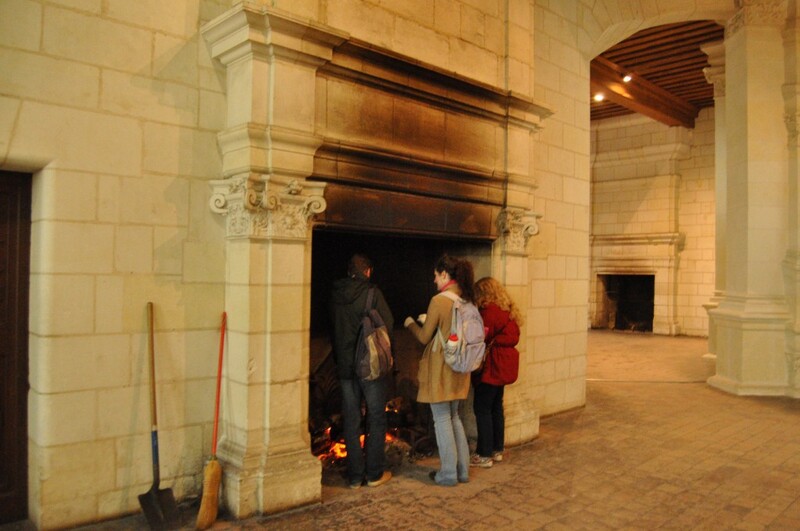 In fact these were how the original rooms were designed but in the 18th and 19th century they lowered the ceilings and made the fireplaces smaller so that the rooms could get warm. 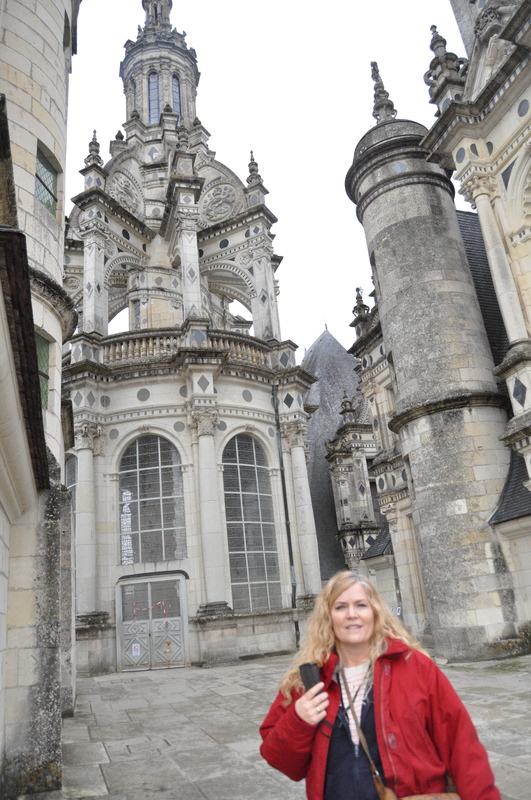 King Francis only stayed in this castle 17 days of he 32 year reign. Not many people have stayed very long in this castle. It has been property of the state now since 1932. This is the double-helix open staircase. It is amazing. You can enter from two sides. 2 people can enter from opposite sides and as the move around the staircase they can see each other but they will never meet on the staircase. It is very cool. This area is also called the Keep. 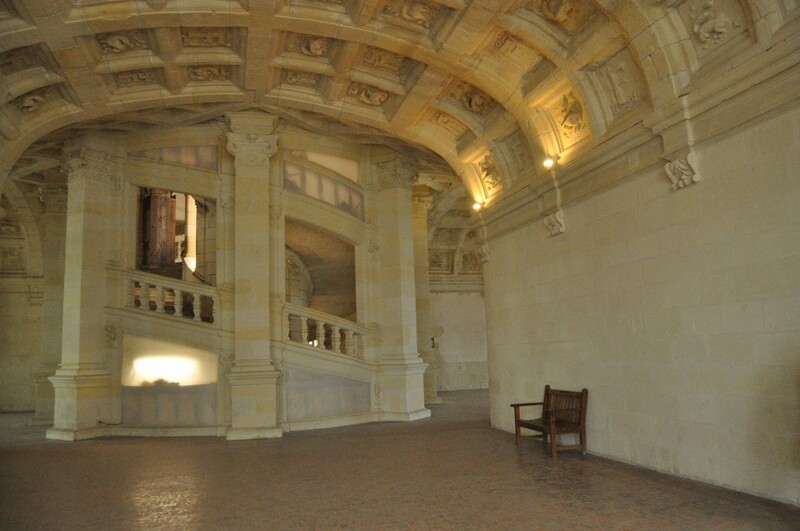 The staircase acts like a divider of four large rooms coming off the staircase. This fire was so nice. They had one lit on all three floors of the castle. Up on the rooftop. This is the center where the double-helix staircase comes up. 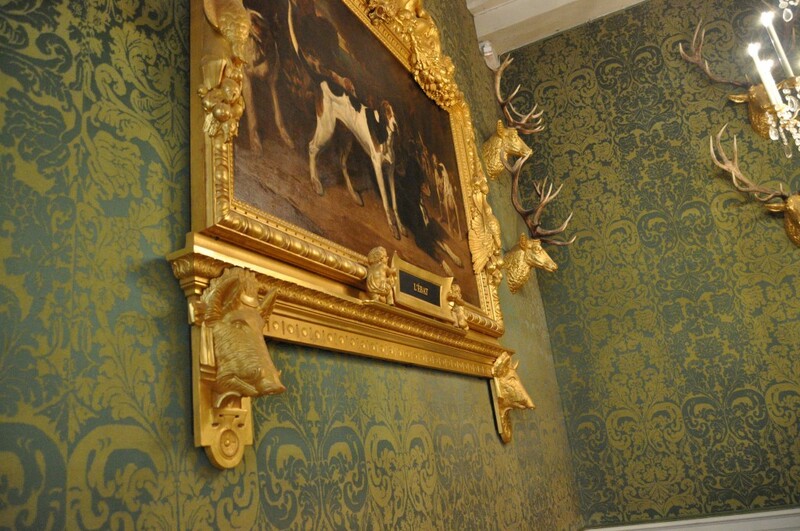 This was made to be the kings hunting lodge, hence the antlers on the wall. This room was dedicated to pictures of hunting. Even the frame of this picture has animals. I love the boars head and the upside down pheasant. 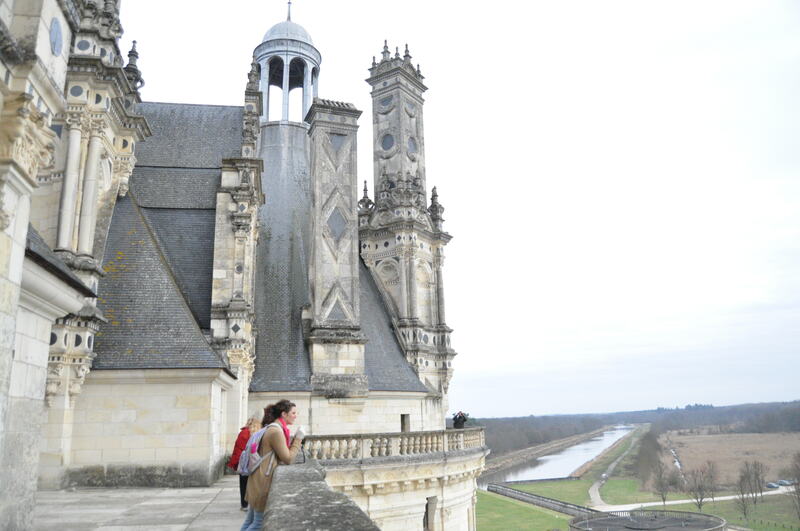 Chambord is a great castle to visit. It is about 2 hours from Paris. 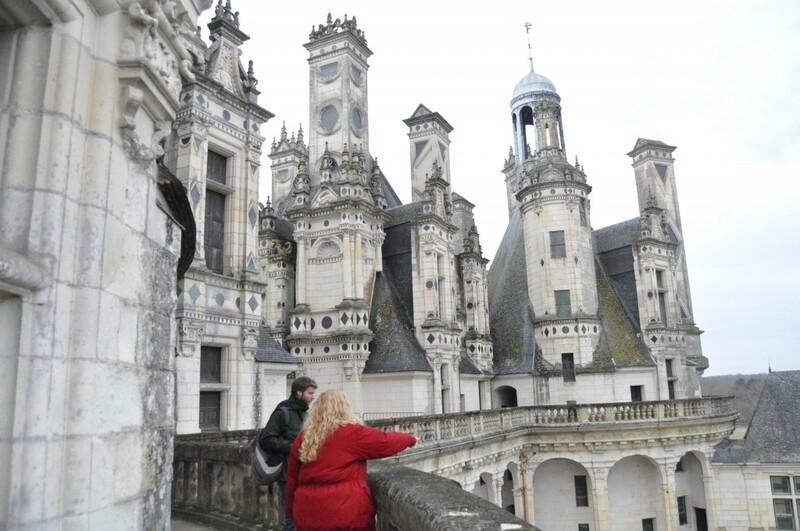 It is one of the most visited castles next to Versailles and Fontainebleau!